Final Fantasy XV has been released exactly one year ago on PlayStation 4 and Xbox One and since then, the team has been improving the game with several updates. 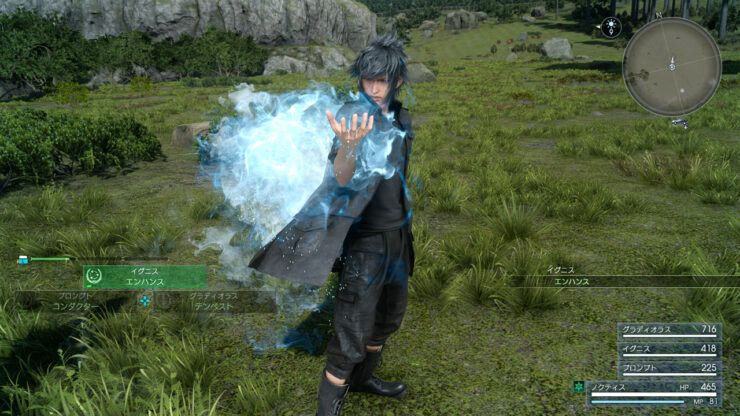 To celebrate the game’s first year, Hajime Tabata and his team will add a highly requested feature very soon. During today’s Active Time Report, it’s been confirmed that a character switching mechanic will be introduced by the December update, allowing players to control other characters in battle during the main campaign. Gladio, Prompto, and Ignis will play as they do in their DLC episodes. Speaking of DLC episodes, it’s been confirmed that at least three will be released during the course of 2018, with one of them focusing on Ardyn. Not much else has been said about these episodes, but there’s a good chance that Luna might be the focus of one of them, as the team has received a significant number of requests. Hajime Tabata himself spoke about additional Final Fantasy XV story content coming next year not too long ago. We are not saying that we are going to simply pull out additional fixed DLC, we are planning to do things that are deeply involved in the core story of the game. We want to do something… where it gives the player a meaningful reason to play it again, or something like that. In regards to the amount of content, looking at the current development, we are looking at around the amount of 4 DLC packs worth of content at maximum. As a AAA title, I think this is the limit. With this, we are going over on what we should deliver.